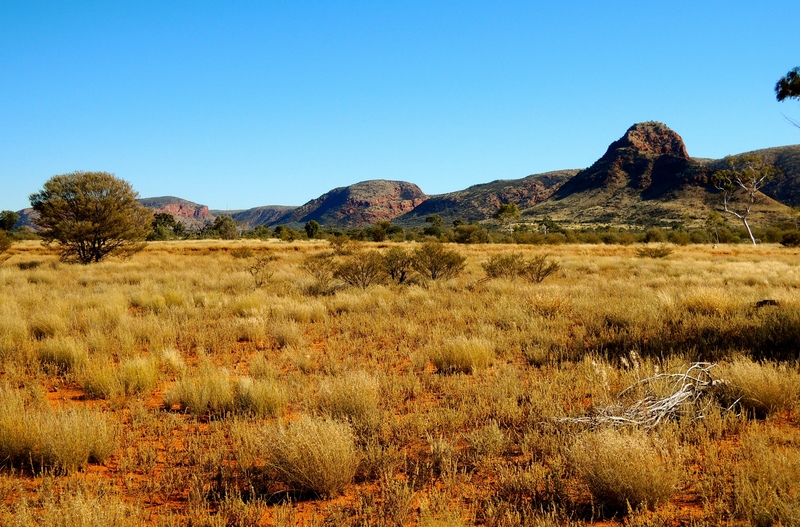 At times it is difficult to find the right words to describe the majestic beauty of the Australian Outback. The landscapes, the vibrancy of the colours that stretch from one horizon to the other, the patchwork of flora that knits this parched and ancient land together. The Sandy Blight Junction Track in central Australia is certainly one place that will leave visitors struggling to find the right adjectives to describe its beauty. 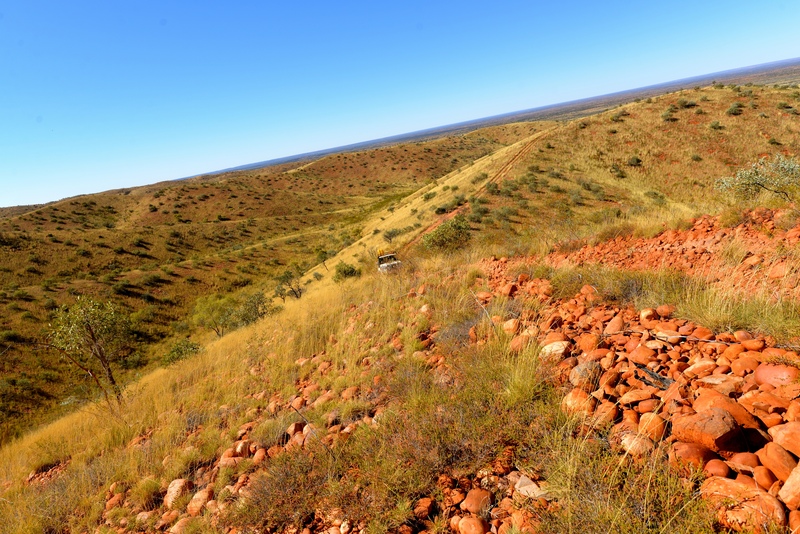 The track, which was surveyed and built by the legendary adventurer Len Beadell in 1960, starts approximately 70-kilometres east of the remote Giles Weather Station on the Great Central Road, and winds its way to the Kintore Range some 300-kilometres to the north. Despite seeing himself as simply a man of the bush with a love of the Australian Outback, Len and his bush craftsmanship are revered around campfires in the outback where tales of his exploits are frequently recounted. Of course earlier explorers had passed this way and evidence can be seen towards the northern parts where a tree blazed by the somewhat controversial explorer William Tietkens can be viewed. The Sandy Blight, which takes its name from the eye disease more commonly known as Trachoma, a disease that Len suffered whilst making the track, will take around three days to complete and adventurers’ who make the journey will be rewarded with an ever changing landscape. Travelling east along the Great Central Road from Giles, the Scherwin Mural Crescent will come into view signaling that the track north is not too far away. The explorer Ernst Giles named this remarkable rock outcrop after the Princess of Scherwin and it is quite spectacular when viewed in the early morning sunlight. Making your way onto the track you can expect your senses to be piqued by a visually invigorating landscape of a deep red coloured soil contrasting against a vibrant blue sky and framed by magnificent Desert Oak trees. Not long after turning off the Great Central Road a rocky track will take you to the Bungabiddy Rock Hole where you will be tempted to laze in the coolness of the rocky gorge, or the more energetic might take a walk to the top of the ridge that overlooks the waterhole. Continuing north the countryside changes from stands of Desert Oaks and rocky outcrops, to numerous sand dunes that will put your driving skills to the test. A highlight of the Sandy Blight is a drive to the top of the Sir Frederick Range where you will be rewarded with a 360-degree vista of the surrounding country. I have vowed to return to the summit of the range to enjoy a full moon rising over this sunburnt land and to marvel as it slides gently below the western horizon the morning after. Whilst the Sandy Blight Junction Track is remote by any measure, it is not necessarily a difficult trip. Preparation is the key to a successful trip and shouldn’t be taken lightly when travelling in a remote environment. Ensure your vehicle is well prepared for the rigours that it will face on the corrugated roads, that you are self-sufficient for food and water, and have a comprehensive first aid kit. 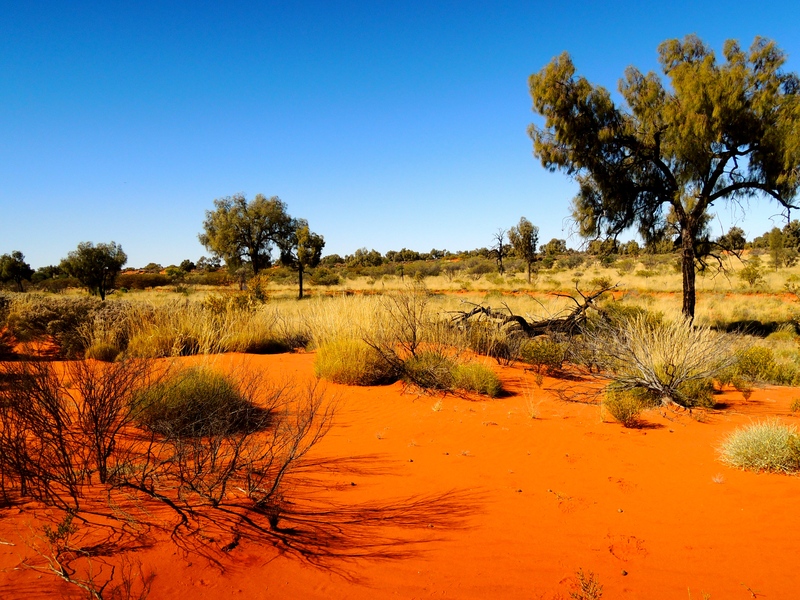 You’ll also need to have the appropriate permits for travelling through aboriginal land, and importantly, be sure to observe the requirements they place on travel through the area, especially on the carriage and consumption of alcohol. 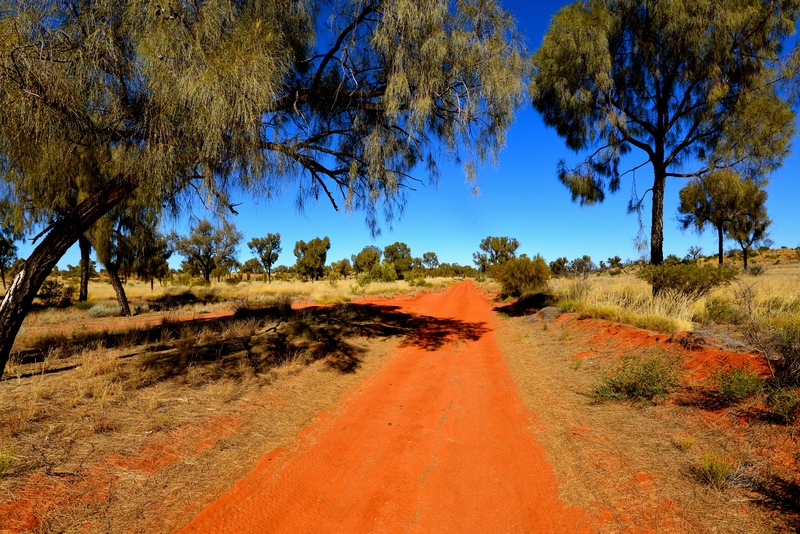 Permits can be obtained from the Central Lands Council and the Ngaanyatjarra Lands Trust. And crikey, don’t forget to take your camera – the folks back home will not believe just how spectacular the Australian Outback is! Beautiful country, Baz! Yes, you should write your own story about it. Your photos speak 1000 words! Wonderful! Beautiful, beautiful country. And great photography, too! The water hole, can you drink the water ??? how about a quick dip to bath or just cool off ??? Tick, all of the above! I love the beauty of the sunburnt land! Thanks for sharing the gorgeous photos!! I can’t get enough of our beautiful Central Australia. Thanks so much for sharing your stunning photos of this more western part of the inland that I’ve never seen. Wonderful isn’t it! Got to be a short story in there somewhere, begging to get out.